With all the growth in The Woodlands, it seems there's a new restaurant opening weekly which has kept us very busy. However, Crisp is one establishment I've been waiting for! Located in the former space of The Black Walnut, it is in a great location with the exception of the parking; however, the evening we went, they were offering complimentary valet service which helped ease that challenge. On my first visit, I went with my good friend and food-writer mentor, HtownChowDown, so be sure to check out his write up of Crisp as well. The inside is hardly reminiscent of the old Black Walnut, but the layout is still similar. Gone is the ordering counter because thankfully, Crisp is full-service. The overall decor is modern yet comfortable and has a certain warmth to it. The booth seats are a bit shallow, but not the end of the world. The dining area on the left side is surprisingly quiet given that the bar is close by and has a more lively feel. Crisp opens at 10am which I find interesting, but I'm actually glad. Sometimes I need to grab an early lunch, and am usually limited to the places that are also open for breakfast. 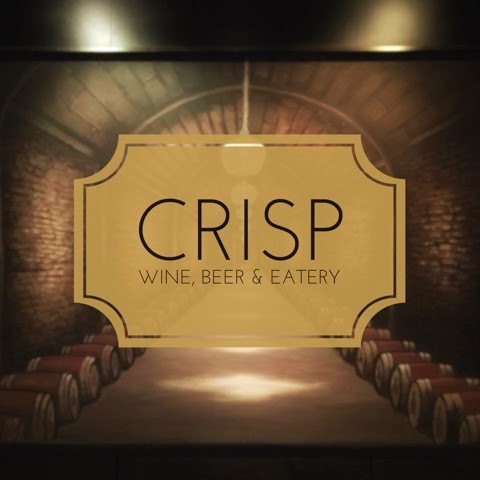 Also, in the coming weeks, look for Crisp to start offering brunch on Fridays, Saturdays, and Sundays. I'm looking forward to this! Our first visit was in the evening, so of course an adult beverage was in order to start off our dinner. I love wine, but I usually depend on Brad at GenuWine to choose my wine for me, so when I'm not there, I find wine selection overwhelming. I need a pocket sommelier. However, I'm also a budding beer nerd, so I was excited to see they had some great local selections. They happened to have Bishop's Barrel 9, so I ordered that. I was also intrigued by their serve yourself wine machine. 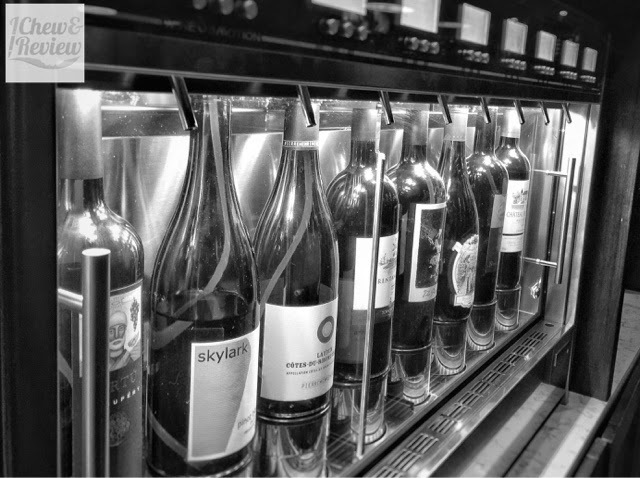 I fail to remember the technical term, and calling it a wine vending machine makes it sound cheap, but basically, you insert a pre-paid card, put your wine glass under the wine you want and select your serving size. They also serve mixed beverages and have a decent bourbon selection. I've now been to Crisp three times in the span of a week, so I've had a chance to try quite a bit on the menu. I'll hit my personal highlights because I'm a woman of few words (I'm sure some would argue that point). This appetizer is very rich, but one of my favorites on the menu. 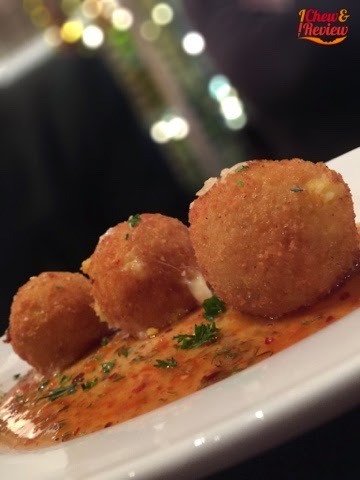 Risotto is mixed with mozzarella, breaded, fried and served with and orange and thyme vinaigrette. They're very creamy, and I couldn't eat a whole one. Definitely a shareable appetizer. 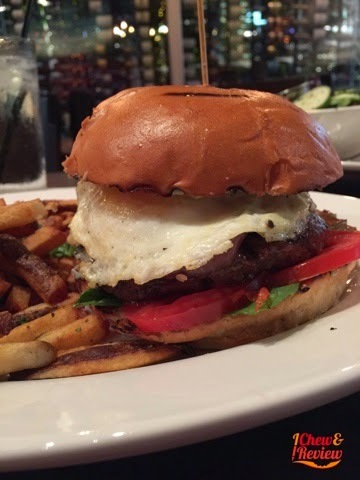 A really good burger is hard to find, and although I think Hubbell & Hudson as well as Fielding's have a better burger, this one is quite good. I was a little nervous about the sage mayonnaise because it's not really my thing. I had my waitress bring me a sample so I wouldn't ruin my burger with it, and let me just say that it would be a great salad dressing since all they currently offer is vinaigrette. (Yeah. No ranch here folks, but let's hope they add that. I've heard rumors that people have brought in their own ranch to eat with their pizza.) Anyway, back to the burger. I ordered my burger medium and it came out medium well, but wasn't worth sending back. It was still juicy especially with the addition of a fried egg. The balsamic onions added a nice hint of acidity which complemented the somewhat mild provolone. It's served with basil instead of lettuce which for me, hit me at the tail end of the bite. Overall, a good burger. And for the folks that like fresh, hand-cut fries, these are for you. Talk about rich. Wow. 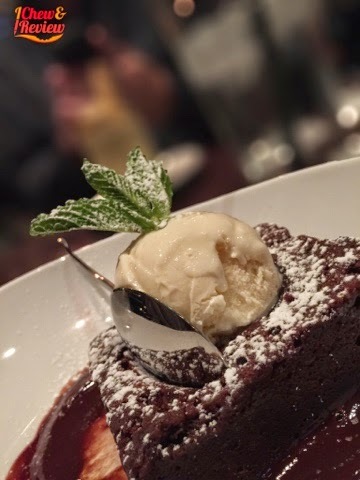 They melt their own chocolate for this house-made treat. It wasn't overly sweet, and you definitely need the gelato to help cut the richness of the chocolate. This brownie is great paired with a nice stout beer. 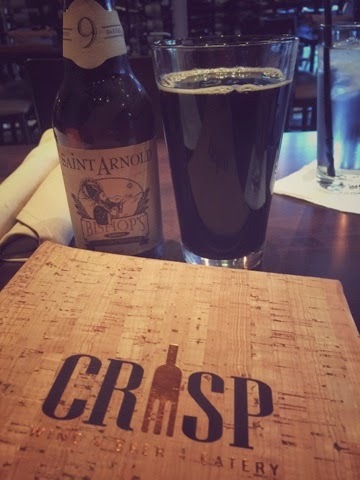 I find Crisp a welcome addition to The Woodlands. It's locally owned which is increasingly rare for the area, and I have thoroughly enjoyed my three visits there. There have been some dishes I have liked more than others, but I think this is expected. I can't wait to go back and continue to work my way through the menu. Another Dining Option in Conroe? When it comes to non-chain dining options, the choices are few in Conroe, so tonight, I decided to give the locally-owned Vero a try before my symphony concert. 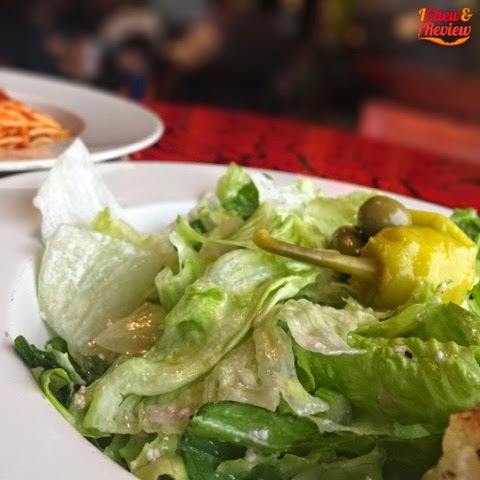 Their menu is relatively limited to salads, a few pastas and thin crust pizza. Like most places these days, Vero is counter service. That was fine for today because my time was limited. Now let's have a little chat about expectations. If you come to a place like this and expect it to be Ciao Bello, you know you're in for a disappointment. You're in Conroe. Set your expectations accordingly. 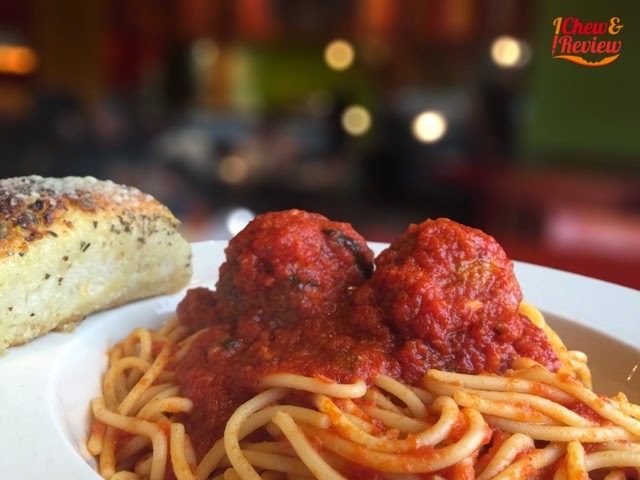 I chose the spaghetti and meatballs with a side salad. Because, you know, I needed to carbo-load prior to my concert. Playing the flute can be exhausting. My total was under $10. For dinner! Can't beat that! I was also thrilled to see they had Sonic-esque ice. My salad was delivered within a couple of minutes. I was surprised at the portion size. For $1.89, it was a lot of salad. The dressing was slightly tangy and the lettuce was crisp. Score. Next up were the spaghetti and meatballs. I liked the sauce, but it needed salt. Easy fix. I hate sauces that are sweet, and this one was not. I prefer meatballs that are a little firm, so I found these to be a little soft for my liking. The flavor was good, however. They were nicely seasoned. Many ask if places are "family friendly." I'd have to say Vero is. While I was there, there were 7 children under 2. Now I like kids just fine, but at that age, many are finding their voices, and apparently 3 of the 7 found them tonight. And with the concrete floors and no insulation or ceiling tiles, it was a noisy dining experience. However, a couple with children should feel very comfortable bringing the entire family to Vero. 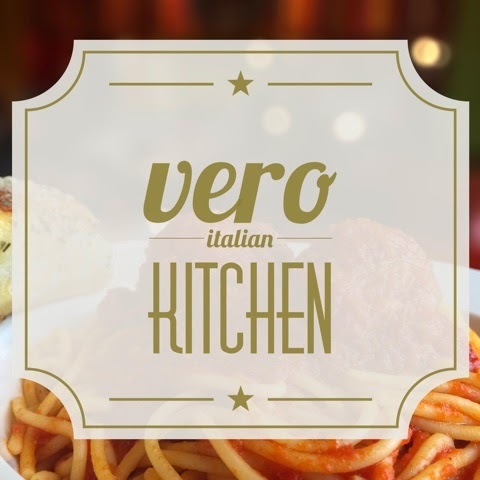 All in all, Vero is pretty good for Conroe, and I'll add it into my regular rotation, and would be my choice for Italian in the city limits.